Sveta battled Danish scuba gear while wearing the Pierluigi pieces from Fila‘s fall Heritage collection. 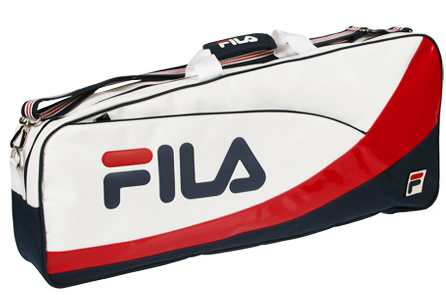 This is named after Pierluigi Rolando, Fila’s first designer and the creative lead from 1970-1984; he designed the brand’s famous logo and collections for Borg, Becker, Goolagong, and others. 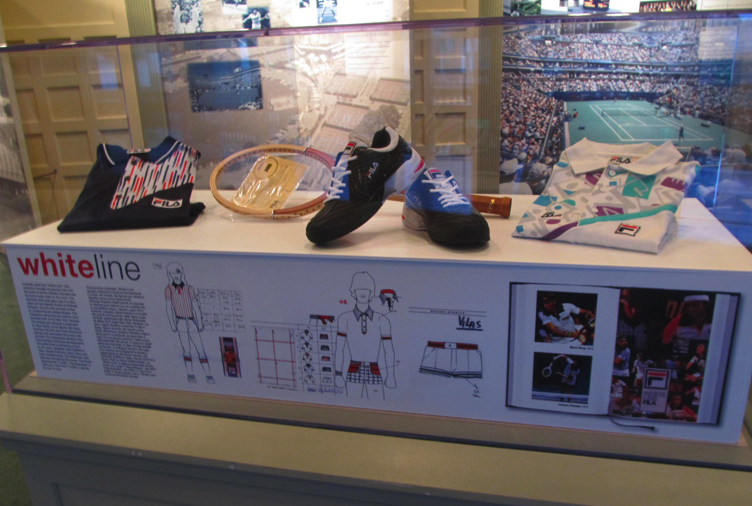 As Fila brainstormed about how to celebrate its 100th anniversary (what made the cut: resurrecting Goolagong’s outfits for Clijsters in Melbourne and Seles’ for Roland Garros; staging an exhibit at the Tennis Hall of Fame; creating interactive marketing campaign), they also looked through Rolando’s archives in Italy for some inspiration. Buy: Fila Pierluigi Women’s V-neck Top, $58; Women’s Racerback Tank. $64. 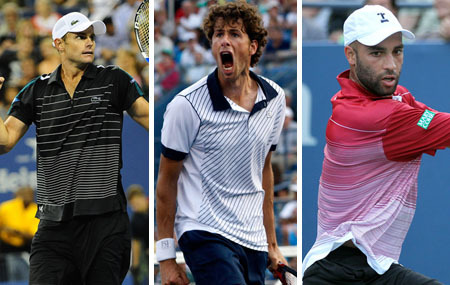 The few: Only a handful of ATPers dared to venture into stripes for this year’s U.S. Open: Andy Roddick wore a piece from his Lacoste collection (Buy: Striped Polo, $88); Robin Haase, as the lone mascot for Robey, dared to go diagonal (Info: Top spin Polo); and James Blake tickled us with his Fila design (Buy: TR engineered polo, $55). Draw: Roddick’s still in it after schooling American upstart Jack Sock in straight sets on Ashe. Up next for Andy is Benneteau, then likely a tough fourth-round match vs. Ferrer. If he survives that, it’s a QF date with Rafa! Haase ground out Andy Murray before losing 6-7 (5-7), 2-6, 6-2, 6-0, 6-4 (yikes!). Muzz should be okay to beat Feli Lopez in the third round, but could run into trouble against Donald Young in the round of 16 or Isner (or Delpo, or Simon) in the quarters. Blake lost to Ferrer in straight sets. Scan: See the entire 2011 U.S. Open Men’s Singles draw here. Fila continues to ride on its 100th anniversary by launching a multi-tired marketing initiative centered around a microsite at fila.com. We’re excited about that they’ve opened up the company’s archives for us to browse. This collection’s inspired by an outfit she received as a Christmas gift from her parents in the mid-80s (and 80s it is — part Balzac, part L.A. Gear! ), and keeps with Fila’s campaign to fete the 100th anniversary of the brand. 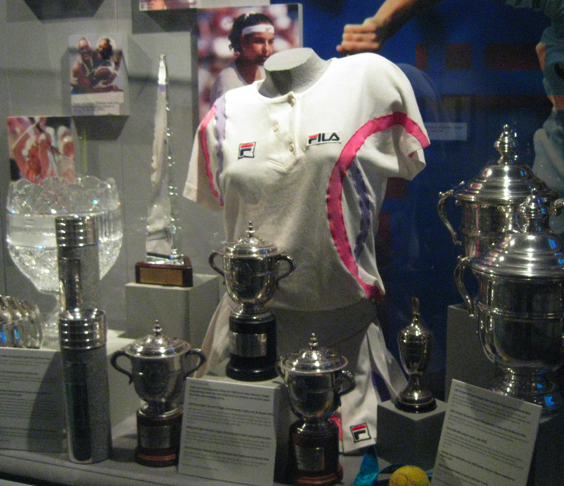 Their first Champions collection debuted at the Australian, when Kim played in a green outfit similar to one worn by Evonne Goolagong-Cawley back in the day. Buy: Fila Champions Collection – Vintage Top, $41.99; Tennis Skort, $36.99; Tennis Jacket, $52.99; Tennis Visor, $18.99. When in Florida, do as the Miamians do — show skin! The ladies playing in this week’s Sony Ericsson Open did their part, with keyholes and other cutouts showing up in kits during match play. From left to right: Dominika Cibulkova in Lacoste; Kim Clijsters in Fila‘s Center Court Cap Sleeve Top (Buy); Ana Ivanovic in the adiZero Dress (Buy). Not pictured: the adidas Response tank, worn by the likes of Andrea Petkovic during practice; see it here. 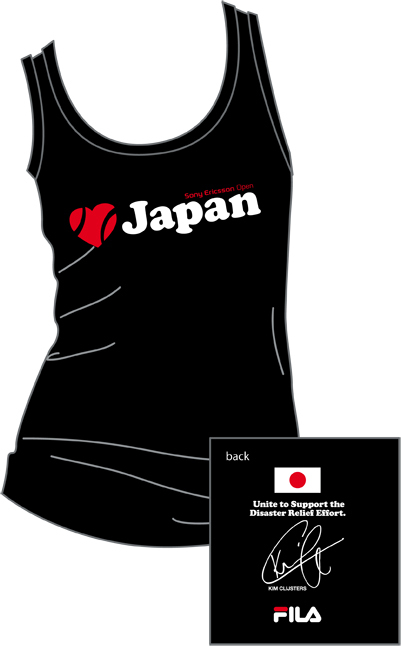 Fundraiser: Kim Clijsters did her part to raise awareness and funds for those affected by the tsunami that hit Japan while the tennis world had all eyes at Indian Wells. Working with her sponsor, Fila, a shirt was designed and turned around in about a week — ready for sale at the Sony Ericsson Open in Key Biscayne. All proceeds will be donated to relief efforts. Info: We’re not really big on wearing autographed things, but this one’s an exception: men’s versions available for $30 (in red or navy); women’s in black and red for $28. Unfortunately, only for sale at the tournament. They’re selling like hotcakes, so hopefully those who want it can get it. ‘Tis the season of choices, no? We give you five (count ’em, 5!) bags to pick from this holiday season. From the super-chic and trendy Soho choice to a bag that couldn’t be more Apple Pie America to another selection (after the cut) that you might want to buy alongside a pair of sunglasses. No, really… at least for the kids. 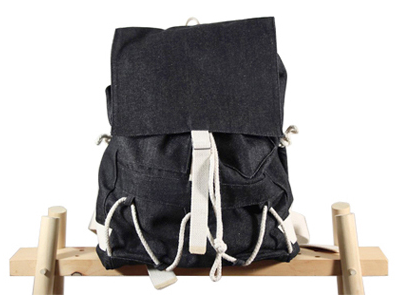 Batter up: LAYERxlayer is catching our eye this year with their trendy, made-to-order approach of bags that you can really take anywhere. The Wayfarer pack, seen below, is $189 online and couldn’t be better for a city dweller that wants a good, sturdy bag that can withstand a daily commute on the 6 Train. 100% denim body. And while after the cut we have two somethings for the ladies, we figured we’d throw a bone for our dudes on this next choice. 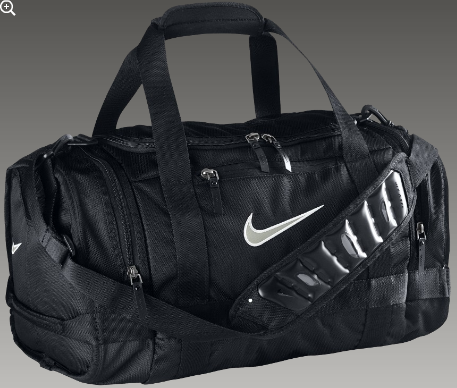 While we were drooling over Roger’s RF bag earlier this fall, Nike has the next best thing in the small, classic duffel bag in black. The bag, just $60 on their web site, is the perfect carry-on, carry-to-the-court or carry-my-stuff-around-all-day selection for a sporty fella in your life. After the cut: a look at a tennis bag that is (still) on our radar (and a nice surprise). TGIF: We spotted Italian Andreas Seppi hitting out in the outer practice courts at the USTABJKNTC on the eve of the 2010 US Open. 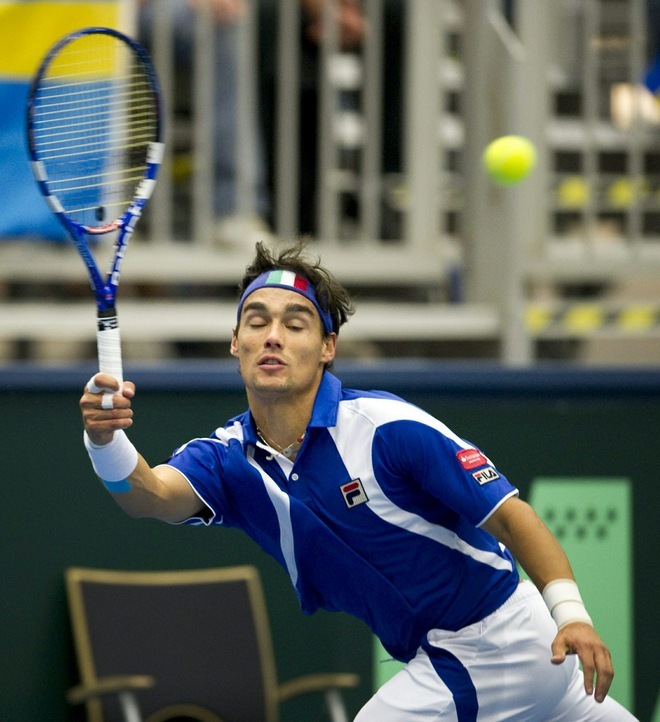 In Sweden, Italian Fabio Fognini had a bright blue canvas on which to showcase his country’s red/white/green flag. He lost his singles rubber to Robin Soderling, putting them at 1-1 against the Swedes (Potito Starace won the other match against Vinciguerra). 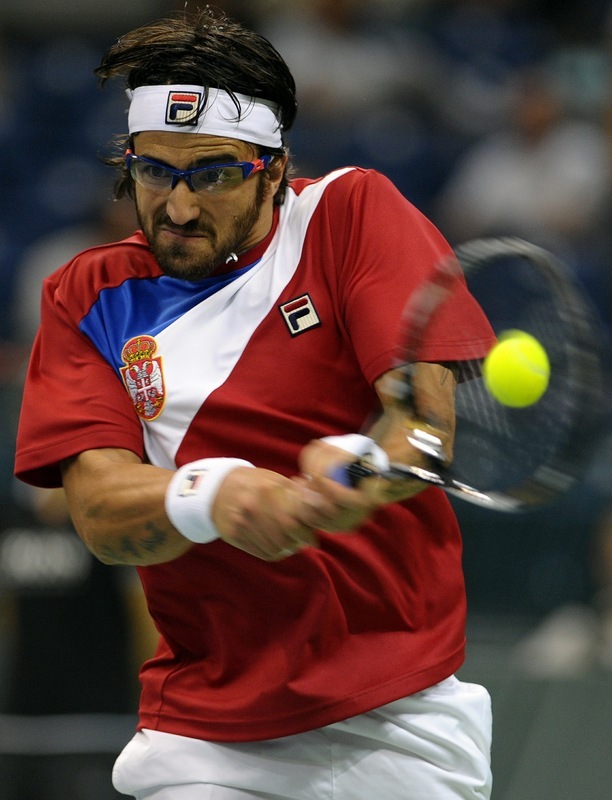 No word yet from Fila about whether Janko’s Davis Cup crew is for sale (much like how they did it for Marin Cilic‘s Croatia shirt). 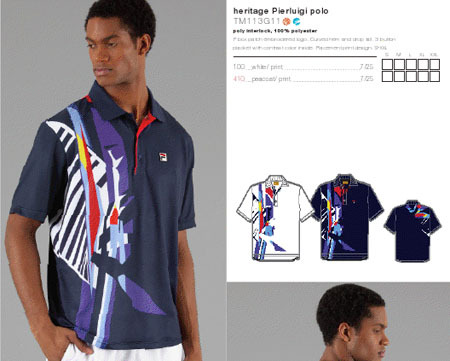 Update: Checked with the Fila folks and they said Janko’s shirt will be eventually on sale at TW. What would a tournament be without a shirtless Dmitry Tursunov? On the eve of the 2010 US Open, we caught a peek of the Russian in the outer practice courts of the USTABJKNTC. Dmitry faced the 13th seed, Jurgen Melzer, in the first round, and he lost in five sets. 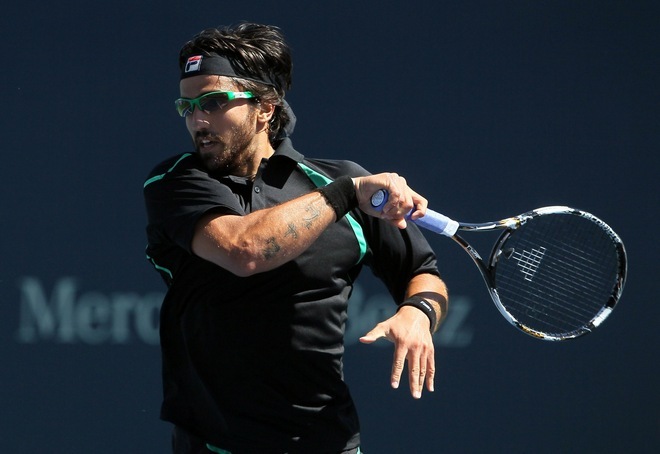 We already know that Janko Tipsarevic is different from the average bear, but he has shown this even more so while in Los Angeles for the Farmers Classic ATP Tour Stop. Over at Sweet Spot, James LaRosa got some taxicab confessions out of our munchkin Serb (something about sheep looking at doors?). 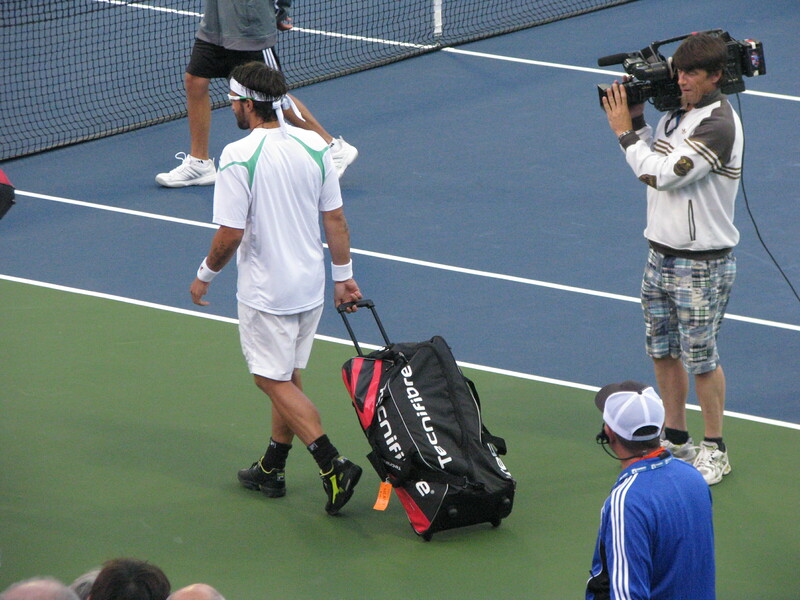 And earlier this week he mentioned a racquet bag change via Twitter. He rolled out the new look for his opening dubs match with Feli. They’ll resume their partnership for a match today against the team of Ross Hutchins and Jordan Kerr. Draw: See who’s left playing singles and doubles at the Farmers Classic in Los Angeles. James Blake, who’s slated to play at next week’s Farmers Classic in Los Angeles, will be stopping by a local Sport Chalet to meet up with fans. He’ll be available for pics and autographs; everyone who comes can win a J-Block shirt (by his sponsor, Fila) and other merch. If you decide to pick up one of the fan tees, proceeds from the sale will benefit Blake’s foundation, The Thomas Blake Sr. Memorial Research Fund. The rest of the pack: Other ATP stags in the Farmers Classic barn include Novak Djokovic, Sam Querrey, and the Bryan Brothers. And the tourney’s Monday night extravaganza will feature Andre Agassi and John McEnroe. More info here.